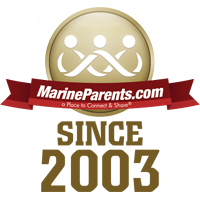 MarineParents.com since September 11, 2001. Monday, September 11, will mark 16 years since the attacks that cost thousands their lives. While these events were a tragedy, they showed the great spirit from the people of this country and their willingness to come together to help others. We at MarineParents.com have embodied that spirit and will continue to provide information and resources for our Marines, veterans, and their families. Here are a few of the ways recently we have honored those who sacrifice so much for our freedom. PFC Michael P. Giannattasio Fundraiser: PFC Giannattasio died on August 30, 2017 while with Reconnaissance Training Company. We are raising money to help send his comrades to the funeral in Michigan. Operation Harvey Disaster Relief Fund: We are accepting donations to the Disaster Relief Fund at Marine Parents to be used specifically for post 9/11 era Marines and post 9/11 era Marine Corps Veterans who have been displaced or incurred extensive loss during Hurricane Harvey and it’s immediate aftermath. Gold Star Luminary Initiative: The mission of the Gold Star Luminary Initiative is to promote awareness of Gold Star Family Day and urge organizations and individuals in communities throughout the United States to light luminaries at dusk on the last Sunday of each September in honor of our fallen heroes. Gold Star Family Day is on September 24 this year.